I am a big fan of your books, and having discovered your wonderful “Lost Recipes Found” feature, I decided to see if you could help me out. I spent a few years in Abruzzo about 14 years ago. Around Christmas, I recall, a friend of my host mother made wonderful little pastries stuffed with a spicy (clove, cinnamon) and orange-flavored (maybe) dried-fruit filling (prune for sure). The pastry was a bit like pâte brisée in texture. However, maybe my memory is twisting the reality a bit. Have you ever encountered anything like this either in your travels or among your books? It would be great if you could help me out. Thanks so much for your note. I remember when I was a kid making dried-fruit-filled Christmas cookies that sound a lot like what you’re describing. They weren’t a family recipe but something I found in an Italian cookbook, I think. I believe they were called something like cavicinelli and they were a specialty of the Abruzzo. I recall these things looking like little half moons and finished off like ravioli with a zigzag edge. Probably different families have their own ways of making these things. The filling was a mix of spices and dried fruits. I’ll look into this for you, and if I can track it down and come up with a good recipe, I’ll post it, but I’ll let you know in advance if I do. Thank you very much for your quick response. In fact, what you are describing is exactly what I remember. The cookies were half moons and finished like ravioli. The flavor was very unique-spicy, not too sweet. I don’t remember other sweets we ate, but these stand out. We spent Christmas with friends of the family who owned a large farmhouse, and the memory of playing in the snow with the other kids and then returning home to these spicy and rich cookies makes them even more special. Thank you for your help. I would love to find a recipe. Also, I am very much looking forward to your new book! As a teenager I went through what I now recognize was a manic baking phase, turning out massive amounts of Italian pastries and breads at strange hours, filling our Long Island kitchen with ancient aromas. At some point during this turmoil I latched onto the idea of filled cookies, and I began hunting down recipes. One of the cookies I remember making, choosing it because it sounded annoyingly complicated, was, I believe, a version of the Abruzzi Christmas cookie Victoria describes. I went back and looked through all my old cookbooks from that time but couldn’t find the recipe anywhere. 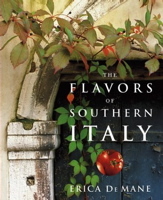 The name cavicinelli kept popping into my head, so I checked through all the newer cookbooks I’ve picked up in Italy during my travels but still came up with nothing. I then Googled it and sure enough, there it was on several Italian websites, although the proper spelling is cavicionetti (I’ve also found it called calcionetti, caggionetti or caviciunitt). And it’s a traditional Abruzzese Christmas cookie, so I’m fairly certain this is what Victoria is talking about. These cookies are also made in Naples, usually going by the spelling caggionetti there, but it’s unclear whether the Abruzzo version traveled to there or from there, or if they were simultaneously invented, which seems unlikely. When I looked these words up in my gigantic Italian dictionary I can’t say anything I found made much sense in terms of the origin of the name. Calcio means kick, which is why soccer is called calcio in Italy. The cookies don’t look like a soccer ball (maybe a football though. Little football? Doesn’t sound very Christmasy or Italian.) Calcio also means calcium, but that doesn’t describe the texture, or at least I hope not. Cavicio doesn’t seem to mean much of anything. If any readers out their can shed light on the etymology of this name, I’d be grateful. The pastry for these rich but not too sweet cookies seems always to be achieved with the help of white wine and olive oil, and they are folded over into mezzaluna (half moon) shapes and most often finished off with the tines of a fork, giving them that filled-pasta look. Often, it seems, the cookies are deep fried, but I also found versions that were simply baked, as Victoria remembers and mentioned in a later e-mail. The filling can be a spiced-up dried-fruit concoction like what Victoria describes; the ones I made during my baking madness were filled with dried figs, orange zest, and chocolate. In my search I also found versions stuffed with sweetened chickpea purée and chocolate, some with chestnut purée instead, and others including grape must, Marsala, various dried fruits and nuts, and cinnamon. Another recipe incorporated pig’s blood, orange zest, almonds, and chocolate (much like the horrifying sweet blood pudding Sanguinaccio that my great grandmother used to make for Christmas). One simply filled with black grape preserves and chocolate sounded particularly enticing, but it was unclear to me how this filling would stay put inside the cookie during baking. I didn’t, however, find a recipe that included prunes, but since there seem to be tons of variations for cavicionetti or however you prefer to spell it, I’m sure what Victoria remembers is correct, so I went about trying to recreate her filling by including all the tastes she remembered, adding a few other typical ingredients from all the recipes I collected, and throwing a few prunes into the mix. Victoria, when you try these cookies, I suggest adding filling ingredients slowly, and smelling and tasting as you go. See if one particular ingredient gives it the flavor you remember, and add more or less according to your taste memory. I’ve included dried figs with the prunes, but if this doesn’t seem right to you, use all prunes. I thought the cookies were delicious, not too sweet, something you might want for breakfast or in the late afternoon with an espresso or a glass of fruity red wine. I hope these bring back Christmas memories for you. One final note: My recipe here is for a baked version, since that’s what Victoria recalls. It makes a wonderful, if slightly dry cookie. Just for the hell of it, I tried frying a few in a mix of olive and corn oil, since many recipes took that route. The fried ones were richer. They’re good both ways. Pour the white wine, water, and olive oil into the bowl of your food processor, and pulse a few times to blend. In a small bowl mix together the flour, baking powder, powdered sugar, and a tiny pinch of salt. Add this to the food processor, and pulse quickly a few times, just until it forms a ball. Turn the pastry out onto a floured surface, and knead for a few minutes, just until it holds together (it should be very smooth). Wrap the pastry in plastic, and let it rest for about an hour, unrefrigerated. Place the prunes and figs in a shallow bowl, and pour on the Marsala. Let sit for about 30 minutes, stirring it around a few times to soften the fruit. Put the toasted almonds in the food processor, and pulse until finely chopped (not to a powder, though). Add the prune mixture, the cinnamon, the pinch of clove, sugar, honey, orange marmalade, lemon zest, and orange zest, and pulse until you have a sticky, well-mixed mass. Cut the pastry in half, keeping the half you’re not working with covered with plastic. Flour a work surface, and roll the pastry out thinly (a little thicker than fresh pasta dough). Flour a 3-inch round cookie cutter and cut as many rounds as you can. Place a teaspoon of filling on each round. Wet the edges all around with water, and fold the cookies over to form a mezzaluna shape. Seal them well by going around the cut edge with the tines of a fork. Do the same with the second piece of pastry (you can gather up all the scraps and reroll them together to get a few more cookies out of it if you like). Place the cookies on a Silpat- or parchment-lined cookie sheet and brush each cookie with a little olive oil. Bake for about 30 minutes, or until they’re light golden brown. Let the cavicionetti cool for a few minutes, and then dust them with the powdered sugar and cinnamon mixture. i was googling abruzzese cookies when i got your website and I also have been looking for information about these. we called them calgiones and only made them at christmas. my grandmother fried them in oil and sprinkled them with sugar. her dough was a little sweet and the filling used welch’s grapelaid (which is no longer made), almonds, citron, chocolate and maybe something else. no one seems to make them anymore because we didn’t know what would replace the grapelaid – i think originally it was the must you mentioned – in dialect we called it “scucciade” and because of the calories. i’m going to have to try them this year. if you are interested in my grandmother’s recipe, let me know. Hi There – I read your blog about your grandmothers recipe for calgiones and it sounds exactly like the recipe my grandmother gave to me – unfornately I lost my recipe and I have been sad ever since. Would you mind sharing your recipe with me? Thanks so much for your time. are you related to a Linda Arsenault? That would have been her maiden name and she lived in Rochester, NY? Hi Erica–I just stumbled on your wonderful page. In the thirties, my grandmother (from Marche region) used to make these pastries and my only recollection was that they had a chocolaty filling. Unfortunatly we never learned her recipe and I only had a recollection that she had called them “calzones”, obviously our memories were faulty (perhaps she was saying “calcioni”?). Your site has I think provided the answer to my 70 years search. You mention chocolate. Is there a recipe with primarily chocolate filling? Before my grandmother died and she was born in Chieti, I had her give me the ingredients for these fried, delectable cookies. The one ingredient that was surprising was the garbanzo beans, grinded up, chocolate, grape jam and some other items which since I’m not in my home, I’d have to look up. I tried once using ready made pie crust for the dough and it was ok, but not like my grandmother’s dough. I love these cookies, and many people never heard of them, so I may attempt making them this year. They are unreal. Although I don’t know the spelling, I believe they were called cuccidate or something that sounds like that. If you want to get the entire recipe, please reply. Your description of cuccidate sounds almost identical to the recipe Anna Teresa Callen gives in her great book ‘Foods and Memories of Abruzzo’, and she is, in fact, from Chieti. She calls her cookies cavicionetti and they’re also based on chick peas and chocolate and mosto (grape must). I’ve heard these cookies called various names and cuccidate, or something like it, was one of them. If you’d like to send the recipe, I’ll post it. Many people have asked for this cookie (or something that sounds very close to it), so it would be a nice Christmas post. Please email me the recipe for the calgionetti made with garbanzo beans. Thank you! My grandmother was also born in Chieti. She made these cookies every year at Christmas. She fried them and then sprinkled them with powdered sugar. We remember some of the ingredients (chick peas, chocolate, walnuts, cinnamon) but can’t find a receipe. Please print the filling and the dough ingredients. Thank you so much. To Vincent DeRisio, and any one else looking for a chocolate version of this.. My name is Angelina DiMatteo and my Nonna Mary DiAngelo made these delicious fried cookie we call “Calgiones.” Her recipe consisted of chocolate and figs and nuts and chicpeas, black grape jam and honey and splash of orange juice and gingerale. All ingredients are are cooked on stove and then placed in lil half moon pie crust and deep fried, drained and confectioner sugared for finish. Hope this helps! my father was born in S. Elia a Pianisi and my mother in Pietricalla. she made a cookie which we called “pepetoni”. the closest i came was “pepatelli” which in no way resembles what i am looking for. our cookies were made with vino cotto, almonds, orange zest a lot of black pepper and all purpose flour. the dough was rolled out very thin (about 1/2 inch), baked and then cut into parallelograms and baked again. they were very dark and hard as rocks. i wonder if you have run across this recipe and if it is included in on of your cookbooks. This cookie certainly is familiar to me, but the name pepetoni is not. The frustrating thing about trying to track down Christmas cookie recipes is that there are so many names for similar cookies, plus families had their own names for them. I’ll hunt around and see what I can find. I found another recipe for the Cavicionetti and attempted to make them. I was just wondering if you had the problem of them bursting open? Any ideas on how to keep that from happening? I did have that problem, as you can sort of see from the photo. I didn’t do it,but if I make these again, I”d seal them with a little egg wash before pressing the edges together with a fork. That should work. ANd also not try to over stuff them. We used to use the ravioli wavy cutter and also to seal the edges. Some would come open, but they were still good. My family is from Francavilla al Mare in Abruzzo. We make these cookies every Christmas season. We roll the dough, fill it and cut it into mezzaluna shapes with a ravioli cutter. Brush a beaten egg on the tops and sprinkle rainbow non-pareils on top. Bake about 15 minutes @ 375. Grape Jelly? They dont have grape jelly in Abruzzo. I dont think this is authentic. Grape jelly was used as a substitute for mosto – grape must- by Italian AMericans who couldn’t find the real thing here. Mosto is a old fashioned sweetener used in many Italian sweets and in some savory foods as well. Ok, I agree with that I just never heard of grape jelly used. I was gonna say what wonder bread wop came up with that recipe. LOL I mean no offense by saying wop my family is from Abruzzo. Thank you for the info. Joe, Yea the grape jelly thing was far reaching. Strange substitution, but I guess it made sense at the time. Thanks so much for sending in this recipe. This post has become incredibly popular in the past month and I’m sure my readers will appreciate your recipe very very much. My husband’s mother’s family is from Abruzzo, Rocco San Giovanni in Chieti…..we make something similar called cile pieni….it is made with a delicate dough with white wine, and the mosto from the grapes mixed with peel, coffee, etc…it is baked then rolled in sugar…..we make these for special occasions such as weddings, baptisms, showers, etc.. It is one of my favourite treats of all time…in fact, in his family there are competitions at family picnics as to who makes the best cile pieni!!! Some have taken to making them with raisins to replace the mosto, but I have seen Vincotto up here in Canada and I will try that the next time I make them! I would be happy to share this wonderful unique recipe, which, by the way is also very, very healthy for you. However, at the moment I am completely stressed out with work. I will however, send it to you at my earliest convenience. I have been looking for this recipe myself. My mother was also born in Rocca San Giovanni. I am sure are families knew each other. My mother used to make this for us when we were little. She and my father have passed on and would love to make these cookies for my 3 brothers. I would be very grateful if you could share this with me . Hi Tanya, my mother was from the same small town. Our last names Caravaggio. My mother and father have both passed on. I am sad to say I never received mom’s recipes. This is one I remember her making when were younger. If you could share your recipe that would be greatly appreciated. My grandmom is from Chieti and mixes apple butter with the chocolate, toasted almonds and a dash of cinnamon for the filling. They are amazing and people go crazy for them! I made the cookies this year and used a Pampered Chef round tart maker, kind of like a sandwich press that seals two pieces of bread together with stuff inside, only I only used the dough and it made a nice size round cut out, then I transferred them to a plate where I used a pastry brush and only used water around the edges, a small dab of filling right in the middle, fold over the circle, sealed with with my fingers first and then used a fork to seal them better. None came open when frying them. I turned them once and drained them and after cooling sifted powdered sugar on them. They have been the hit of the cookie tray. I thought long and hard of my grandmother slaving as she made all the Christmas treats and of course the Christmas Eve with the Bacala, fried shrimp, Calamari in the sauce, salad, homemade Italian bread (which I have yet to be able to taste like hers) and all the huge family enjoying each other, the vino and good old times. That recipe is hard to duplicate, but we do try. Merry Christmas! I had to smile reading your comments on a version of this cookie stuffed with grape preserves & chocolate. I make a similar version of these baked cookies every year from a recipe that was my grandmother’s. Her family was from Salerno, but she cooked to please my grandfather who hailed from Guardiagrele in Cheti. Our version is made with chopped chocolate & ground toasted almonds. Grape must was used in the original recipe but it was hard to find here so my grandmother cooked down dark red wine & added just sugar to make an only slightly sweet syrup. Once the chocolate, almonds & “must” were mixed together, fine cake crumbs were added as a binder & to soak up the flavor of the wine. For most of my life, our family called these pasties “wine cakes”. I did not learn the correct name for them (Cavicionetti) until a few years ago when doing research on the internet. I’d be glad to share the recipe if you think your readers would be interested. This cookie, and all the variations on it, seem to be the most loved Southern Italian sweet of all times. If you’d like to share your recipe, I’m sure all my readers would be thrilled. I was pretty pleased to find that site.I wanted to thank you for this wonderful read!! I undoubtedly enjoying each little bit of it and I have you bookmarked to check on out new stuff you post. To the person whose Grandmom was from Chieti. What was your family’s last name and when did they live there. They may know some of my relatives. You’re looking for ciammellini, also called ciambelle. I have my great grandmas recipe if you’re still looking. Hi Anthony, I would love to have your great grandma’s recipe. Thank you for sharing it. This is my great grandma’s exact recipe. Notice she writes to wash the anise seeds and look for stones. I don’t think we have to worry about that anymore. Put most of the flour in a large pot. Add the rest of the ingredients and mix well. Add more flour – just enough to form a stiff dough. Knead the dough on a floured board for 15 minutes. If it sticks to your hand, add more flour. It is not necassary to knead continuously. Let the dough rest every few minutes. Wash, dry and grease the pot. Place dough inside. Turn the dough to grease it’s top, then let it rise in a warm oven, remove before it rises to double. Place dough on a floured board and cut into pieces as large as you like. Roll each into a 6″-8″ piece, 1/2″ in diameter. Attach the ends of each piece together. Overlap ends so they don’t separate (this will take practice). Into a pot of boiling water drop about 4-5 ciammellini. When they float, remove and drain on a towel. As you continue this process, you can begin baking the boiled ciammellini until all have been baked. Put non-stick cooking spray on a cloth and rub the oven racks. Preheat oven to 400-425 degrees. Place the ciammellini directly onto the racks. As they bake, turn over once until each side is browned – be careful, they brown very quickly! You you should change the post subject Lost Recipes Found: Victoria’s Christmas Cookies from Abruzzo Erica De Mane to more specific for your blog post you make. I liked the blog post all the same. I’ve been looking for a calcionetti recipe, all the women in my family made them at Christmas. Each had their own subtle variation in the recipe, and none of their pastry dough was the same. But they were all good. My mom’s (Gemmina) and Zia Giuseppina were the best. I’ve never attempted these, it’s harder than it sounds, or looks. You have to fry the dough just right. But at least growing up eating this delicacy, I’ll at least know how to figure out the filling ingredients by tasting as I go. Chocolate/cinnamon/orange definitely add to the flavor, I think my aunt added clove or mace to the mix. Might as well throw in a little sweet liqueur, why not? Maybe Cointreau or that one made from hazelnuts. look up my recipe and I found to save lots of time and messups on dough, I used the Pillsbury pie crust, roll out thinner, cut with round biscuit cutter and put a little dab in middle of the filling and then pull over to one side and brush with water to seal. Then use the tines of a fork to seal a little better. Fry and you’re home free. My brothers all loved them last year and said “where did this recipe come from?” I hadn’t made them in over 20 years and my Grandmother has been dead for over 20. When you want something different, do these cookies. You’ll have everyone wanting more. Merry Christmas! So “calzunett'” was corrupted to “cagiunett'”, and then somehow made a leap into proper Italian calcionetti. Growing up in an Italian family,these cookies were my absolute FAVORITE!The name was pronounced “Gojuneats.” I have one of the recipes for it that my late Italian aunt wrote down,but I have never made it because alot of the ingredients were randomly added “to taste”. But these had chick peas,chocolate bars,hershey syrup,lemon and orange rind,lemon extract,grape jelly,ground almonds,and honey and the dough had wine in it.They were fried and sprinkled with powdered sugar. Absolutely a wonderful cookie…I long to taste them again,and hopefully this year I will attempt to make them and try to carry on the tradition since all of these relatives have since passed away. Cheat a little. Take the Pillsbury pie crusts in the refrigerator section, roll them out a little thinner and cut that into the circles for the cookies. My dough never turned out like my grandmothers so I cheated and used prepared pie crust dough. It’s pretty good. Make sure you brush water on the edges before you seal them with the tines of a fork so they don’t come open in the oil when frying them. I guess if you wanted you could bake them, but frying is the traditional way. Good luck! My grandmother was from Casoli in Abruzzo, a small town near Chieti. She called the cookies you refer to a Goujouns (SP?). She made them with chestnut puree, and some chocolate or jelly. They were delicious but I have not found the recipe since she passed. If anyone has a recipe for these cookies filled with chestnut puree I would be most appreciative. I think further down is my grandma’s recipe, but she used garbanzo beans, drained and mashed, could be the consistency of chestnuts, but she definitely used the beans. I think she called them Cici beans, something like that. PS If you email me, I can send the recipe I have. the dough should be neither too soft nor too hard. fry in hot vegetable oil. I was so happy to find your site, Erica. i am more happy to find that so many people are looking for the similar recipe I have been searching for 2 years. The family I sat with making them were Neopolitan. I am from Abbruzze- a pure bred way back. The recipe posted by Gen on DEc. 12, 2010 at 5:47P.M. was so close to what I remembered. My recollection includes: honey, chopped chocolate dk and bitter sweet, orange zest or water, absolutely chestnuts and hazelnuts b/c I remember toasting them to be able to rub off the skins. Of course, chick peas cinnamon, a liquor, perhaps vermouth. There was no grape anything in them. They were not overly sweet and you could always eat more than one even though they are so time consuming. The were fried toa golden brown and dusted with powdered sugar. They never had to be put into the fridg. I can only go by memory b/c the recipe is gone with the family, I fear. I am a baker who needs at least a vague recipe. Yes, they were the hit of the holidays and i would give a lot to make them as close as i could with the ingredients I have and whatever anyone else would think is necessary. I have a feeling this is going to be a very long search but your site and Gen’s post has given me hope. I am grateful to both of you and, Erica if you come across anything that can help me ( not that you haven’t I will be forever indebted.Thank you , Elvira mpc342@comcast.net ( in case someone out there can help me. I will now be posted to your site for other recipes also, esp. if I can help anyone else out. Jamie, Glad to hear it. That’s a very nice book. Lots of good, authentic recipes and written from the heart. I am thrilled to have found this site. My husband’s parents were both ftom Abruzzi, one from Rapino & Pretoro and the other from Giulianova. Mom used to make these pastries at Christmas, but called them Cicipiene. I can post her recipe if you like. Does anyone have the recipe for macaroons from Guardiagrele? I tell my husband I’m coming back Italian in my next life. When you’ve seen Italy you have seen the best that Europe has to offer. My father’s family is from Giulianova and my mom’s is from Palombaro, also in Abruzzi. My grandmother from Palombaro made these cookies, but never had a name for them. The only name we ever came up with was Taralucci. She shaped them into crescents, but then brought the tips together so that they were shaped like tortellini. 3/4 c ground toasted almonds. Melt jam & butter; mix until butter melts. Add chocolate, mix until melted. Add dry ingredients to combine. Fill cookies. Thanks for posting the recipe for the filling. I’m saving it in my recipe file. I’ll probably not do anything this year as my husband died in September, but I am so happy to have it and will certainly try it eventually. If you or anyone else reading this column ever has a recipe for Macaroons from Guardiagrele I would love to have it. My husband’s grandfather was from there. I was watching a video of my dear departed great aunt who lived to be 94, but didn’t leave recipes with anyone. She talked about the Wheat on St. Lucy’s feast. What was that, why was it traditional and how was it made? Sounds interesting. The story goes that during the 1500s there was a huge famine in Sicily. As if by magic a ship carrying wheat arrived at the port in Palermo on Dec. 13th, St. Lucy’s feast day. The people were too hungry to grind the wheat into flour so they just boiled it instead. Now on St. Lucy’s feast day everyone in Sicily eats Cuccia a dish of whole wheat mixed with ricotta. I write a monthly Saints day recipe for http://www.novena.com. I’m pretty sure I put a Cuccia recipe up last year. Check it out. This is also just a beautiful blog for anyone interested in the lives of the Saints, with gorgeous artwork. thanks for the website and the recipe note. I’ll go there for sure. Please feel free to put up any recipe you’d like. If you look at my home page you’ll see a box on top that says ‘Italian Recipe Exchange’. THis is a new feature where I put up readers recipes directly on my blog. You can send it to me that way, or just post it here. I’m not familiar with the macaroon recipe you mentioned, but I’ll ask around and see what I can come up with. 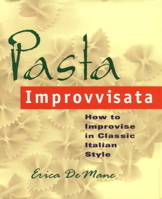 Erica, I’ll post the recipe through the “Italian Recipe Exchange” since it’s rather lengthy. Maybe some of your readers will like to try it. My mother-in-law was born in Rapino and then the family moved to Chieti, so the recipe is guaranteed abruzzese. My great grandmother is from Ortona (Abruzzo region). Every Christmas she made cavicionetti. She baked them; that’s how I make them, as well. 6 eggs, 8 oz melted butter (2 sticks), one slightly rounded cup of granulated sugar; 6 tsps baking powder; 4 – 4 1/2 cups of flour; zested rind of two large oranges. Dough recipe makes enough for about 70 cookies. Filling, called scrucchiata, is: 2 lbs raisins; 1.5 lbs Concord grape jam; 8 oz unsweetened baking chocolate; 1 lb almonds (toast them in oven and finely chop in food processor). Start with raisins in large pot with 18 oz of water; cook them on medium to soften them. Use hand blender to pulverize, then add jam, minced almonds and chocolate squares. This recipe makes enough filling for 150 – 200 cookies. You can make the filling ahead of time and refrigerate or freeze. The prepared dough can also stay up to 48 hours in fridge. wow you go to a lot of trouble and work. I know my grandmother Alma used to spend hours making homemade items even though she worked full time as a tailor for Bond Clothing. In my old age, I cut the time with using store bought pie crust from Pillsbury. It’s a nice dough, but not quite as nice as Grandma’s. OMG..finally..the exact recipe that I have used for years.My husbands family is from Ortona..born and raised..They are the best…. I am so happy that I came upon this site! My parents both emigrated from the city of Chieti in Abruzzo. My Father passed away last year and my Mom has been ill so I find myself going through this crazy “recipe” book of hers trying to decipher all the old traditional favourites before they are gone with her. Unfortunately like most older Italian women who loved to cook and bake, her recipes have only half the ingredients written down, some with no measurements and of course no instructions! The rule was if it looks, smells, feels and tastes right….it’s right! I’ve been trying to locate a recipe for these caviciones to make for Christmas this year. Her’s always had chestnuts, grape jelly, nuts and in later years she used mincemeat instead of doing alot of the chopping of fruit. She fried hers and would dust them with sugar. Mmmm… :) I’m off to find the ingredients and make some of these Christmas favourites today. I’m just going to blend some of the above recipes and hope for the best! Buon Natale to all!! My grandmother was from Chieti too. Her maiden name was Scioli and she was born in 1906 and died in 1988. Her recipe used ground up chick peas or what’s also known as garbanzo beans and grape jam, not jelly, the jam was thicker. My grandfather was from Miglianico and our family name is Cataldo. Cataldo ancestor was thought to have traveled to Spain and back to Italy, but not a very common name in Italy. Good luck with the cookies, I have a picture of mine if you want to see them. Merry Christmas and Happy New Year! I despair of ever finding a recipe fpr Guardiagrele macaroons. The Abruzzo & Molise Heritage Society referred to them, then told me they weren’t in their cookbook, and suggested I search the web! Did you ever! Does ANYONE have a recipe? The traditional biscuits of Abruzzo my late mother in law and her sisters made every month they were both born in Vasto Chieti Abruzzo and immigrated to Australia .. Zia Anna still making them at age 88 , they had to adapt the recipes when they first arrived , there was no vino cotta no home made grape jam etc Until they established their gardens and supplies .They made a variety of biscotti in all about 10 that I remember .Two types of biscotti described by readers are different in that one with chick pea and honey filling Calzoni is fried and the other baked both look similar to ravioli Tarale dusted in coloured granulated sugar Calzoni in powdered icing sugar .. The baked I know as Tarale before food health regulations prohibited the sale of Pig blood the filling was fresh pig blood mixed with vino cotta roasted ground almonds home made grape jam cocoa powder chopped mixed dried fruit .. I was lucky enough to have tried the traditional Tarale with pig blood before it was banned in the late 1960’s .. They were fantastic the filling fruity sticky thick chocolate texture .. The Calzoni pastry when fried should be crisp bubbly Zia tells me it’s the wine and oil that makes the bubbles and crispy pastry .. My other favorite biscotti is Pasta Nera the pastry mixture contains cround cinnamon stick chopped roasted almonds and cocoa cut in diamond shape baked then iced with icing sugar and cocoa that is cooked to produce a hard shiny finish ..
I’ve been looking for the tarale recipe you described in your post date April 2, 2012. My grandmother and grandfather were also from Vasto Chieti Abruzzo and emigrated to the US in the early 1900’s. My aunt made the tarale’s and I’ve been looking for the recipe ever since. Actually made a trip to Vasto in 2006 and had some in a restaurant in Vasto that were exactly like my aunts. Our family names were Cedro and Celenza. Hi Mary, Were these sweet or savory taralli? Both are made in Abruzzo. Hi, I’m from abbruzzo and the sweets you are all talking about are called Cagionit (that’s dialect) they were originally filled with boiled chestnuts with sugar, chocolate and cinnamon. The dough was cut filled and fried and sprinkled with icing sugar. During the war food was difficult to come by and chestnuts were collected for special occasions but for those that didn’t have any or couldn’t get any, chickpeas were substituted giving the floury dense base that chestnuts did, but chestnut is the original way to make them. AND they are fried not baked. Although everything has to catch up with the times and maybe baking them is a newer fresher way to make them. Cheers. I still fry mine. Since we only make them at Christmas, some things fried can’t hurt. Like the dried codfish Bacala – couldn’t bake that or the fried shrimp which we always had on Christmas Eve since you couldn’t eat meat the day before Christamas – back then anyway. Sharon what ever the origonal recipe or substitute I like Abruzzi Vastes style of cooking ..My back ground is Sicilian English differant styles of cooking . We like Baccala I cook it in winter Vastes style with onions tomato potatoes and one red pepper ..The day before Christmas my mother in law made 12 ( 12 apostles ) vegaterian dishes for dinner consiting of fried cauliflower ,frittata with asparagus ,White beans ,fried Carcoffi ,roasted red peppers ,fried Zuchinni flowers ,etc.etc, all good food we had some wonderful times when the old folk were with us lots of big family gatherings and picinic’s plus gathering to make Passatta sauce , sausage and soap .. If you have the recipe with the Cod and tomatoes, onions and potatoes, please send it. I have an idea what and how, but not so sure and we used to soak good Italian bread in it. Thanks. Hi Sharon the recipe like all Ma’s recipes was sight touch taste no written records so here goes ..
salt …. one small diced hot chili optional ..
Rinse the salt off Baccala and soak in plenty of water changing water every day for three days if the weather is hot keep the bowel in refrigerator ..wash and cut into serving pieces . Place oil in large flat covered casserole pot add onions and garlic and peppers to pot and fry till golden color ..Add diced tomato stir and fry for a few minutes Add baccala potato’s and enough water to cover add salt sparingly as the Baccala may be still salty ..Bring the pot to a steady simmer turn down heat very low and simmer till Baccala and potato’s tender 5 minutes before serving add banch parsley either chopped or tied in bunch for easy removal .. serve with lots of good crusty Italian bread to mop up the juice’s .. Thanks Nancy, being that my grandmother has been gone now over 20 years, I had made it with canned crushed tomatoes, but haven’t bought the dried cod locally because in Springfield, MO, very few Italians and NO deli or store to buy it. I’m going to Rochester, NY in August, might pick some up there. I wonder how fresh Cod would do? Thanks for the details. Ciao. Nancy, how did you end up in Australia? Believe it or not, my grandmother’s sister lived or maybe still lives, but she’d be pretty old in Australia. I don’t even know where. Her name: Sylvia Scioli was her maiden name, don’t know what it was married and then another relative’s daughter lives in Australia with the last name Cataldo – don’t have much contact. It’s a shame we lose track with family, but I never met them so it’s not a big loss. Still to know they’re living in Australia is interesting. 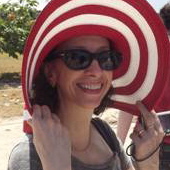 Sylvia moved right from Italy and the Cataldo relative moved from Pennsylvania. Sounds like a dream place to live. I too live in the country with my boyfriend/partner of 20 years and 3 dogs and 8 cats (all indoor cats and a new kitten on the 4th of July). Are you on facebook? I am and it’s a good way to share photos and stories too. My name there is Sharon Cataldo Letson. Look me up and hoping to be a friend. We have lots to share and I’d love to. If not, send me an email where I can share photos of family, pets, business stuff (we have a candle company) and keep in touch with fellow Italians. Actually in Sulmona, Abbruzzo, they’re called “Ceci ripieni”. Marilena, Thanks so much for the recipe. My readers will love this. From the comments you can see this has been a hot topic. BTW, I’ve been to Sulmona. It’s gorgeous. And boy, their Centerbe can really knock your socks off. Roseann,my name is Tom Melchiorre. My family is from Abruzzo a tiny town ,Gessopalena in Provina de Chieti!! Buona Natale!! That’s great. I hope your mom likes them. As you can see from all the comments, these cookies bring up a lot of emotions for people, lots of memories. The power of food. Cavicionetti, I think, is a dialectical version of calzonetti, like little socks… or like little cazloni (think of a pizza calzone). At least, that’s the explanation my mother gave me. Oh, and in my mother’s town they also fill them with chick peas. I had them once during the sagra (La Sagra dei Ceci; it’s now been renamed to La Sagra del Zafferano). I don’t remember enjoying them as the texture of the chick peas is a little mealy… and I love chick peas in savoury dishes, so I’m not anti-legume or anything. My mother makes the almond kind. Thrilled to find your web site. I have been looking for a recipe for a cookie we used to pronounce “gaujoons”. My mother is from Bucchianico and father from Lanciano. Mom made these cookies every Christmas. The filling had chick peas, nuts, prune jam (Lekvar) and orange zest. Some had a bit of liquor in it for the adults. The cookies were fried and dusted with sugar. thank you , been looking for years for recipes from chieti, my grandma was an amazing baker. gonna make these for my 89 year old mamma! Both sets of my grandparents were from Roccamorice in Abruzzo. (family names are Menna, Ventura, Giancaterino. )My mom just passed away January 5th, she was 91. I am sitting here going through some of her recipes and came across one written by my mom on a yellowed envelope with my oldest brother’s scribbled name…looks like he was maybe 6 or 7 at the time which would make this recipe from the late 40’s. There is no name for the recipe and the ingredients confused me until I googled them and found this page! Here is what it says: “Grind one orange skin, add 1 cup softened raisins, half pound almonds,1 can ceci drained, honey-jar. First grind orange skin, then nuts, then raisins and ceci. Add chocolate and honey. Stir it real good, then put it in the porch to set. Ring of flour, 3 eggs, 3 eggs water, 1/2 glass oil, little sugar. Mix dough, roll it out, cut in circles. Dab dough with milk before closing patties. Then fry it like doughnuts.” My mother was meticulous with details, so I am assuming from the way this was written (which was unlike her!) that she wrote this down as my grandmother spoke. My grandmother never learned to speak much English. Anyway, I’m going to try making these in the near future. Thank you all for sharing your notes, recipes and stories. I’m sitting here with tears rolling down my cheeks…missing my mom and cherishing these recipes she left. Hello! This recipie sounds exactly like my great-aunt’s recipie. We all called them “Cajunites” sounds like couchineeches. I don’t have the exact amounts. She never shared how she made them, she just gave us the ingredients that she used in the filling. They are: fig, chick peas, almonds, raison, orange ring, a little bit of chocolate bar, and honey to make a thick paste. She deep fried them and they were so good! Now all of children are trying to recreate them! This website is really helping! Alane, The greens filled turnover is popular all over Southern Italy and they go by so many names. Calzone is off course, one of them, and might be your answer to ‘cowzhunes’, but caggiunes could be the correct word as well. So complicated and so much overlapping. We always made ‘pizza di scarola’ an olive oil pastry filled with escarole, olives, sometimes anchovies, capers. I have several recipes for this on my blog. Thyme is not an herb commonly used in Italian cooking. MInt certainly is though. Sounds like a great recipe. What type of greens did your family use. My grandmother often used a mix of escarole and dandelions. I loved that. This is a great site. It’s nice to know that there are people trying to preserve and share a way of life that is important. I am hoping that someone will know about these large cookies my grandmother used to make back in Roccamorice, Abbruzzo and also in Toronto. Unfortunately, I don’t even have a name for them, but they are very unique and maybe someone will recognize them from my description. I remember my grandmother and my mother kneading eggs, flour, anise seeds and shaping these cookies into giant doughnuts, and then boiled in water. After they are taken out of the water and cooled, the perimeter of the cookies were scored with a knife. They were then baked in an oven and they would open up into a very unique shaped cookies. My grandmother made these cookies large. I have very fond memories of riding the bus with my grandmother and she would open her purse to reveal one of these gigantic cookies. She would break off a piece for me and my sister and we would happily eat them as we rode the bus. I have been looking for thies cookies for a long time. My family would make these cookies using the crushed grape after making the wine. My family comes from Abeuzzi and Naples I make a cookie ever Christmas like you describe. We call it ciribean. The filling is mincemeat jelly figs orange rind nuts and raisins. It is in a sweet pastry made with eggs sugar milk flour and baking powder and the are baked in half moon in the oven. My grandparents are from Palermo and Naples. I’ve heard all this talk about the jelly filled and prune filled cookies etc. But as a kid my Mom made these simple apple butter filled cookies that were incredible! They also had chopped walnuts and sometimes raisins in them. I can’t find the dough recipe that Mom used or whether she fried them or baked them. I do believe however, they were fried only because they were a bit oily. She would also at times sprinkle powdered sugar on them after cooking. None of my aunts uncles cousins or any relatives could refuse them. Especially when eaten warm. If anyone has the information I’m looking for on making the dough and whether frying or baking—–I’d greatly appreciate it as I’ve been searching for a while now. She would make them just like raviolis. She’d roll the dough–use a cookie cutter after putting a tbls. of the filling down—roll the dough over and press the edges with a wet fork. That’s as much as I know. Please help as all relatives are gone. I’ve never heard of apple butter cookies from Southern Italy. Maybe one of my readers will recognize this and write you back. In the meantime I’ll do a little research and see if I can come up with something. Here’s a recipe that sounds like your apple butter cookies. It’s a variation on the fig one that I put up. And it might be of Italian-American origin. See if this sounds like what you remember. Hi Erica——my brother and I were talking about the apple butter cookies Mom used to make and I think we figured it out. First I think your probably right that they are not totally Italian but maybe Italian/American. She would take regular all purpose flour and water(very simple) and maybe some crisco, but I’m not sure on that. She’d then get the right consistency—–roll it out and put dollops of apple butter with crushed walnuts and raisins on the size of a table spoon. Then she’d fold them over just like making raviolis and with a wet fork crimp the edges. The difference is, besides the dough being different then yours, she would then fry them in canola oil. Of course, not as healthy maybe——-but oh my gosh——–so good. I tried your method and hers and I enjoyed both equally. But Mom’s brought back my childhood memories. So thank you so much for getting back to me—I think we got it figured out.Have a very Merry Christmas. Ricky P.S. after frying them she would definitely pat them down with paper towels to get most of the oil off. And then into tupperware loaded with paper towels as well. So glad you figured out the cookie problem. And I hope I was able to help a little. Thank you Erica—you helped greatly. You helped me to realize that even though they’re not your traditional Italian cookies—they’re the ones we remember as kids, and we loved them then and now! Merry Christmas! Cook cici in liquid, stirring often, until soft (don’t burn). Drain & mash good. Add melted chocolate and rest of ingredients. Put in refrigerator and let stand 1 day. Mixture should be thick. Make crust and roll out in long sheet. Put 1 tbsp. filling approx. every 2-3 inches. Flip dough over to cover filling and cut like ravioli. Press edges together and press with fork all the way around to seal tightly so filling doesn’t seep out. Deep fry in fryer (no more than 2 at a time) using vegetable oil until brown and crust is cooked. Remove and place on paper towels, sprinkle with regular sugar. *If filling seeps out while cooking make sure you clear the oil or else cookies will taste burned. Sise delle monache, also known as “Tre Monti” (three mountains), are made only in Guardiagrele, in the province of Chieti. This dessert is made of two layers of soft sponge cake divided by a layer of custard. After preparing the custard, start to make the dough of the dessert. Beat the egg whites until stiff with 200 gr of sugar and then beat the yolks with 100 gr of sugar. Mix the two mixtures very slowly and add the sifted flour and the potato starch, until this mixture is soft. On a baking tray form three little pyramids with the mixture. Put in the oven for 10 – 15 minutes at 210°. When everything is ready, wait until it cools down, cut in the middle to fill with the custard and then cover everything with custard… don’t forget to sprinkle with icing sugar! After preparing your own recipe for pastry custard (or use the one below), start to make the dough of the dessert. Beat the egg whites until stiff with 200 gr (1 cup) of sugar and then beat the yolks with 100 gr (1/2 cup) of sugar. Mix the two mixtures very slowly and add the sifted flour and the potato starch, until this mixture is soft. On a baking tray form three little pyramids with the mixture. Put in the oven for 10 – 15 minutes at 210° Celsius (410 degrees Fahrenheit). When everything is ready, wait until it cools down, cut in the middle to fill with the custard and then cover everything with custard… don’t forget to sprinkle with icing sugar! Put the lemon zest and the milk into a large, heavy saucepan and simmer over low heat for about 10 minutes. In a large bowl or mixer, beat the egg yolks and sugar until thick and pale yellow. Add the flour and whisk until well combined. Remove the lemon zest from the saucepan and slowly add the hot milk into the egg mixture, a tiny bit at a time. If you add them too quickly, you’ll scramble the eggs. Then return the mixture to the saucepan and cook over low to medium heat, stirring constantly. Keep stirring until the mixture thickens and starts to boil. If it gets lumpy, use a whisk, or even a hand-held stick blender to smooth it out. Transfer the mixture to a bowl and cover with plastic wrap, against the surface of the pastry cream, so it doesn’t develop a “skin.”Cool in refrigerator. This is so exciting for I finally found at least the name of the Italian cookies that my Grandmother made at Christmas. Although I have read a few of these recipes my Grandmother’s were a little different in the ingredients which are close to some of these above that I have read but still different. I still have her recipe and make them not every year for it does take time unless you have help of course. I am so happy that I have the correct name and spelling of them. They are outstanding for sure!!! I am looking for an old recipe from my family that came from Abbruzzi. It was made at Christmas time and from memory it was a savory, black pepper roll or pastry that was not sweet. They called it a (don’t know the exact spelling) “toochinelle”. None of my remaining family members remember how to make it since it wasn’t written down. It was golden brown, yellow inside (I guess from eggs), black pepper inside and very light I side, not dense. I think it was also fried. PLEASE help me,someone, to find this recipe so it will not be forgotten. This sounds familiar to me. Let me look into it and see what I can come up with. Thank you for reading my email. I am a graduate of a culinary school here in Texas and I want to be able to make the things I enjoyed as a child for family and friends. Thank you for your kindness with this question that has confounded my remaining family. 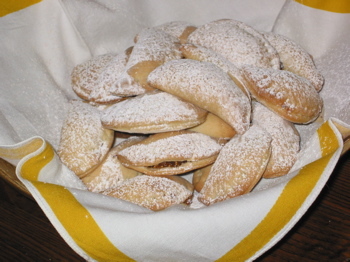 Here’s a typical Abruzzo Christmas recipe for Torcinelli. It’s a soft, fried zeppole type fritter. This version doesn’t contain black pepper, but maybe that was something specific to the town your family came from. Take a look at the savory version. These are made only in Abruzzo. I’m thinking this is a variation on what your family made. But I’ll keep asking around. I just wanted to thank you for your attention on this recipe. I’m working at a vineyard now and will look at the recipe later tonight. Thank you once again!! Recipe is in Italian which I don’t speak– any help with a translation? Thank you- please translate the ingredient and preparation instructions. That will be a big help to me and thank you again! Thank you for this post. My mother and grandmother always made these at holiday and I could never find their recipe. This sounds like it. For some reason I remember them using red wine instead of Marsala. Could that be possible? Georgine, That is absolutely possible. If you look through all the comments, you’ll see how many variations exist, from region to region, even from household to household. It’s fasciinating.